January 26: 5 POWER Lessons From 5 Leaders Who Made History On This DAY! 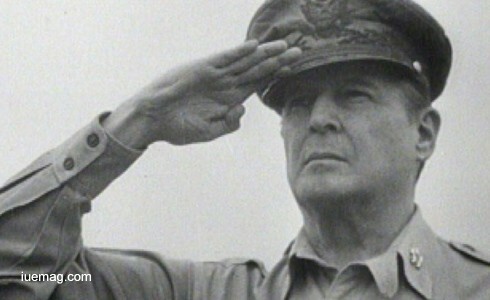 Douglas MacArthur was an iconic figure in American military history and is till date, revered as a symbol of military excellence. Often popularly known as the ‘American Caesar’, MacArthur was one of the greatest war heroes of the United States of America. He served in the World War I, World War II, and Korean War and played a crucial role in The Pacific War. Born to a U.S. Army captain, Arthur MacArthur, Jr., he graduated as a top-ranking cadet from the United States Military Academy and began his career in the Army Corps of Engineers. He helped lead the 42nd Division in France during World War I. He went on to serve as the superintendent of West Point, chief of staff of the Army and field marshal of the Philippines, where he helped organize the military. During World War II, he returned to liberate the Philippines in 1944 after it had fallen to the Japanese. He also led United Nations forces during the start of the Korean War. A brilliant military strategist, MacArthur earned more than 100 military decorations both in the U.S and internationally in his lifetime. These numbers speak for the amount of efforts behind the results. The most appropriate example of courage and patriotism, he continues to inspire the world through his story. Some of his momentous decorations include, Honorary Knight Grand Cross of the Order of the Bath from Australia, and Croix de Guerre. Louis Anquetin was regarded as the most promising artist of the 19th century and was a major influence on other artists of his time and later generations. He was a painter associated with the Post-Impressionist movement, and best known for his scenes of Paris at night, done in the Cloisonnist style. By his time, most of his contemporaries had already switched to pastel as they considered oil painting to be dull. Anquetin thought otherwise. He believed that oil painting was their collective heritage and accused his colleagues of lacking the necessary understanding required for oils. According to him, it was the lack, not of talent among his colleagues, but of the knowledge of the oil painting techniques and the ability to draw by studying the anatomy. So, at this period he made a complete turn in his career by rejecting modern art and turning to classicism. The other painters and art critics rejected him but that would never stop this man from continuing to pursue what he was passionate about. 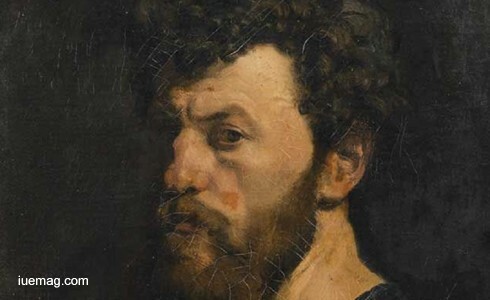 During his later life, he was largely out of the art scene and after his death, he was nearly forgotten. However, in recent years his works have seen an uprise in interest, particularly his paintings of the mysterious women of the night, a subject that he worked on when he was in Rome. His work is still held in several museums. 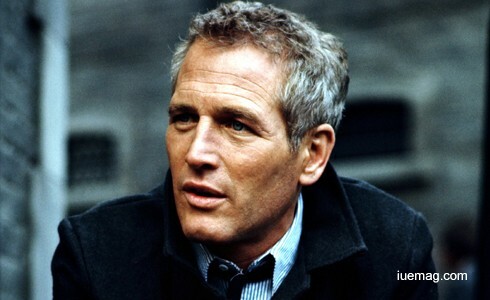 Paul Newman was an Academy Award winning American actor who was also an accomplished entrepreneur, professional racing driver, activist and philanthropist. Known for his dashing looks and striking blue eyes, he is regarded as one of the most talented men ever to have graced Hollywood. Paul was a fan of the theatre as a youngster and his mother encouraged his interest. At the age of 7, he made his acting debut in a school play. It would be several years before he seriously considered acting as a career however. After graduating from high school, Paul wandered a bit, also working as a door-to-door salesman for Collier's Encyclopedias before enlisting in the Naval Air Corps. His piloting ambitions were cut short however, because it was discovered that Paul's famous blue eyes were actually colour-blind. It was at Kenyon College in Ohio that Paul rediscovered his interest in acting. It did not take him long to establish himself as a successful actor with films like ‘The Hustler’ and ‘The Color of Money’ to his credit. In addition to being an actor, he was also an entrepreneur who co-founded “Newman's Own”, a food company. The legendary actor was also well-known for his involvement in philanthropic endeavors. Paul's first film ‘The Silver Chalice’ was a disaster, but he was lauded for his portrayal of boxer Rocky Graziano in ‘Somebody Up There Likes Me’ and his career began to take off. He received his first Best Actor Oscar nomination for his role in ‘Cat On A Hot Tin Roof.’ He would go on to be nominated six more times before he finally won in 1987 for his reprisal of Fast Eddie in ‘The Color Of Money.’ The Newman's Own food company supported causes ranging from The Hole in the Wall Gang Camp for terminally ill children, to the Scott Newman Foundation for drug and alcohol abuse education, to drought relief in Africa. Louis Zamperini was an Olympic athlete and a US prisoner of war survivor (World War II), who later became a Christian evangelist. Being born into a non-English speaking family in the United States of America started out as a struggle for Louis Zamperini. However, he overcame the difficulties and neglect from his peers through focusing on running. 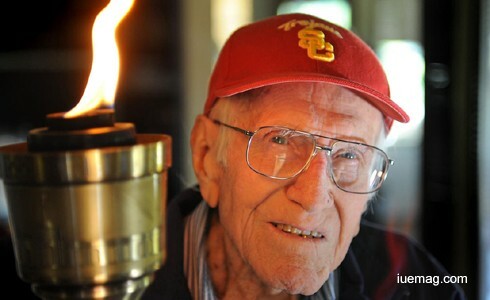 An outstanding performer in long distance running, Louis Zamperini went on to compete at the 1936 Summer Olympics. However with the onset of the World War II, the games were cancelled and he enrolled into the US Army Air Corps. A bombardier in the Army Air Corps, Zamperini was in a plane that crashed down. Although one crew member died, Louie and Lt. Russell Allen Phillips survived 47 days in the sea area, living on rain water, fish and birds. When he arrived on shore in Japan 47 days later, he was taken as a prisoner of war and tortured for two years. It is almost impossible to even imagine the horror when he was discovered by Japanese soldiers rather than Allies. Louie was shifted from one Japanese prisoner of war camp to another. Just visualizing the abuse they received at the hands of the Japanese is heart-breaking. Over the next two years, he suffered from disease, exposure, starvation, and near-daily beatings from guards. After his release post war, Zamperini became an inspirational figure, and his life served as the basis for the 2014 biography Unbroken: A World War II Story of Survival, Resilience, and Redemption. Post-war, Louis was transformed by religion from an angry and bitter man to someone who was able to forgive his former Japanese guards in person in Japan. His story of courage, passion, patriotism, standing for what he believed in, continues to inspire the lives of many. Known to an admiring public as “Queen Bess,” Bessie Coleman was the first black woman ever to fly an airplane and the first African American to earn an international pilot’s license. During her brief yet distinguished career as a performance flier, she appeared at air shows and exhibitions across the United States, earning wide recognition for her aerial skill, her dramatic flair, and her tenacity. Coleman grew up in Texas, moved to Chicago, and got interested in flying after her brothers returned from World War I. Failing to find anyone in Chicago who would teach flying to a black woman, Bessie Coleman determined to go abroad to get training - a daring idea for that era. Because flying schools in the United States denied her entry, she taught herself French and moved to France, earning her license from France's well-known Caudron Brother's School of Aviation in just seven months. 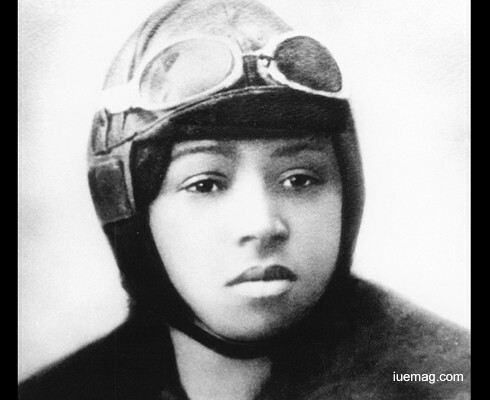 The certificate made her the world's first licensed black aviator. Coleman returned to the United States and began a barnstorming career, appearing at airshows across the country. Any facts, figures or references stated here are made by the author & don't reflect the endorsement of iU at all times unless otherwise drafted by official staff at iU. This article was first published here on 26th January 2017.